Fillers and Laser: If you look at your mirror and all you see are smile lines, lip lines, wrinkles, frown lines, and worry smiles, then perhaps you need a facelift. Despite the joys that life brings our way, one of the most depressing parts of it are the visible signs that come with aging. Many anti-wrinkle treatments have been developed over the years; some worked while a lot did not. How do fillers or lasers work? Most dermal fillers are composed of hyaluronic acid. This is a substance that occurs naturally in the human body. it helps to provide fullness and volume to the skin, thereby giving it a youthful and healthy appearance. It is also present in the connective tissues of the human body that lubricates and cushions. Wrinkle is directly connected to loss of volume and filler will restore the lost volume. 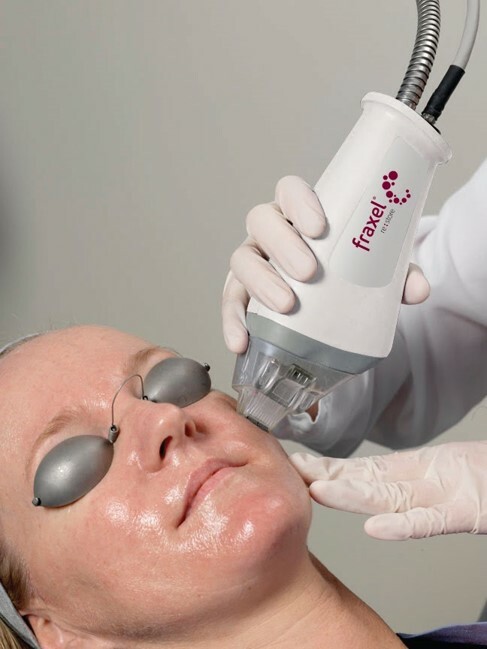 Lasers are employed in skin resurfacing treatments and can also be used to reduce wrinkles and fine lines. Lasers can also improve your skin’s texture, get rid of age spots or discolored areas. People who benefit greatly from laser skin treatment are those who do not have a significant degree of skin looseness or laxity. Do fillers or laser treatment work for face wrinkles? Both fillers and laser treatment work for face wrinkles by reducing or eliminating it entirely. Both forms of skin treatment can be employed for getting rid of fine lines. Although there is no sufficient data to support joint fillers or laser treatment, it is advisable that you consult your physician before going ahead with the treatments. Are fillers and laser treatments for wrinkles in Edmonton expensive? Fillers – the most popular being Juvederm and Restylane – are priced by the syringe. The cost of one syringe ranges from $500 to $600. The thicker versions of fillers – Juvederm Ultra Plus and Perlane – cost between $500 to $750 per syringe. Laser treatments come with a wide range of options, therefore the costs may vary. But typically, the approximate cost of laser treatment per session is between $250 and $800. Who can’t have fillers or laser treatment for Wrinkles In Edmonton? If you are breastfeeding or pregnant, you should not go for fillers (Restylane or Juvederm) or laser treatment. If you are also sensitive to gram-positive bacteria, stay away from hyaluronic acid-based dermal fillers. What are the side effects of fillers or laser treatment for Wrinkles in Edmonton? The treated area could swell for 24-72 hours and this is more common with injections done around the lips. You may experience redness, pain, itching, swelling, tenderness, and discoloration around the treated area. Avoid using aspirin or anti-inflammatory drugs as they could cause increased bleeding around the treated area. What are the post fillers or laser treatment for Wrinkles precautions in Edmonton? Do not expose yourself to ultraviolet rays immediately after the treatment. You should also ensure that you schedule whatever social engagement you have on your calendar to a later date. This is to enable you to recover well and for the swelling or redness to subside. Which is better: fillers or laser treatments for Wrinkles in Edmonton? Both fillers and lasers are effective treatments for reducing or eliminating fine lines, wrinkles, frown lines, etc. but find out from your physician before undergoing one or both treatments. In Edmonton, the housing market has a lot of landed properties for sale at a price of $359,134.